The UPPAbaby Minu boasts many great features for travel and everyday use. If you appreciate The Littlest Passport’s review of the UPPAbaby Minu stroller, and you decide to purchase a Minu, consider using our affiliate link with Albee Baby. 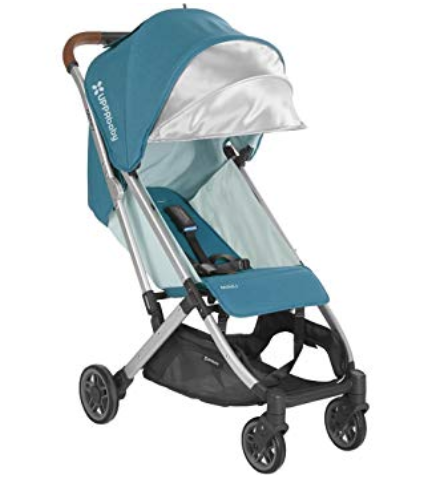 Albee Baby is an authorized retailer of UPPAbaby strollers, and is currently offering a free rain shield (valued at $19.99) with stroller purchase. The Littlest Passport occasionally makes use of affiliate links to support the continued content of this website. We will never recommend something that we have not personally tried and endorse - all opinions are our own. Furthermore, we will always be transparent about our affiliate partnerships. The Littlest Passport recently had the opportunity to test drive the UPPAbaby Minu stroller for The New York Times' Wirecutter review site, as part of its review of the best travel strollers on the market. The Minu is UPPAbaby's latest lightweight entry into the marketplace, with many of the features that parents would expect from the upscale brand's full size strollers, but with some features that make it and appealing choice for families that travel often. The full review will be appearing this fall on Wirecutter's website, but here is a sneak preview of some of The Littlest Passport's notes on the UPPAbaby Minu's performance as a travel stroller. The Minu is incredibly lightweight (at just under 15 lbs) and easy to carry, either by hand or by its shoulder strap. The stroller is incredibly easy to fold and open. It can be folded with one hand, though you will find that you need to use both hands to guide the stroller open. The clasp that needs to be released for the stroller to open is a bit tricky to locate (and sometimes to open),but we found that we eventually got the hang of it. The Minu handles and maneuvers well, with smooth steering. The wraparound handlebar makes pushing and steering easy. Though the under seat storage is smaller than UPPAbaby Cruz or Vista, it is still above average size within the travel stroller category. We loved how easy it was to store and access bags, snacks and toys in the under seat storage, and found the storage better than our everyday stroller, the Baby Jogger City Mini. We appreciated the small touches to the stroller's design that made it feel upscale, like the leather handlebar and the magnetic peekaboo canopy window, which meant that we could observe our daughter and see whether she was napping without alerting her, unlike other models that use Velcro on their peekaboo windows. Set up was a breeze. My husband commented that UPPAbaby is like the Apple of strollers - well designed, upscale, and easy to use out of the box. If for some reason you have any issues with stroller set up, you can request a one-on-one video consult with an UPPAbaby expert. If you are a parent looking for a stroller that can be carried on an airplane, the stroller may not be for you. UPPAbaby specifically states that it stroller fits into some, but not all, overhead bins. Given the shape of the stroller when folded, it is a bit wide, and you may find it difficult to carry both the stroller and your little one on to an airplane. 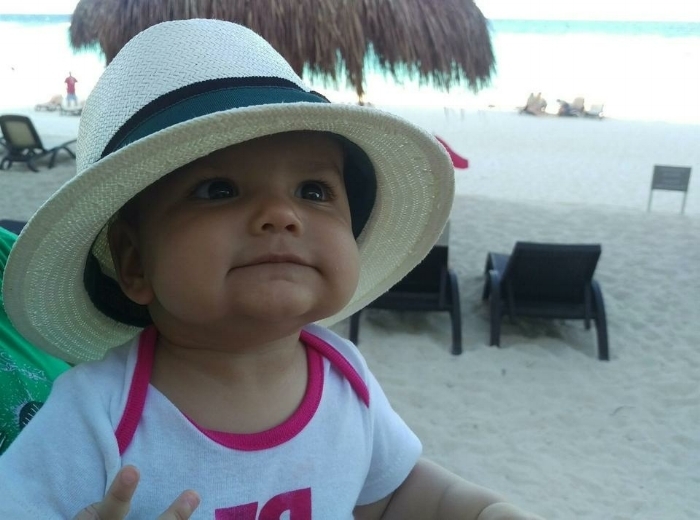 That said, I have traveled on more than 20 flights with my daughter in the last two years, and I've always gate checked her stroller with no problems. So having a stroller that can be carried on to an airplane and stowed in an overhead bin is not an imperative in my books. The UPPAbaby Minu may not be the best choice for parents with multiple kids, as it only seats one child, and you cannot add a kickboard for the older sibling. Compared to other travel strollers like the BABYZen YOYO, the UPPAbaby Minu packs a tough punch. It handles better, stores more, and boasts many more attractive features - all at a slightly more competitive price point. The UPPAbaby MINU retails for $400 USD, vs $450 USD for the BABYZen YOYO. My husband and I were so impressed by the overall maneuverability, storage, and design of the UPPAbaby Minu that we decided to purchase it for our own family - not simply as a travel stroller, but for everyday use. It's lightweight frame makes it incredibly attractive for parents like us that need to regularly carry the stroller up and down stairs, and although the under seat storage is not as ample as UPPAbaby's full size lines, it is still adequate for many trips, including smaller trips to the grocery store. UPDATE: Days after initially writing this review, I fractured my wrist and elbow in a fall while jogging. The UPPAbaby Minu became a true lifesaver for me. My accident has been incredibly difficult emotionally for my two-year-old daughter. She was initially terrified of my soft cast and sling, and still remains slightly wary. Fortunately, the Minu can be folded with just one hand, and I can easily carry it without strain up and down the stairs. I am also able to snap the harness in place with only one hand. All this means that she and I can continue many of our daily routines, including visiting friends, and heading to our many activities and playground adventures. In a time of transition and change for my daughter, keeping as much of our routine the same as possible has been important. It's also been incredibly helpful for me to stay active and to be able to get out into the world, rather than feeling isolated and stuck inside the house. If an injury or condition is limiting your strength or maneuverability as a parent, I would highly recommend the UPPAbaby Minu!